Sometime back I was reading about a song from Kismet (1943), Dheere dheere aa re baadal, a wonderful song picturised on Ashok Kumar and Mumtaz Shanti. Further reading about it put me into a sort of confusion. Some said that the male voice was that of Ashok Kumar, while others said it was Arun Kumar Mukherjee. Bit of a dilemma, what do I do? Refer to a book called Romancing The Song. And as I was sure, I found my answer there. Then again one day had a thought as to who might have played the whistle in Ye shaam mastani from Kati Patang (1970). I refer to a book called Hitting The Right Notes and get my answer!! Apart from Hindi film music, what connects both the books mentioned above? Its author – Manek Premchand. He has authored 5 books – Yesterday’s Melodies, Today’s Memories; Musical Moments From Hindi Films; Romancing The Song,Talat Mahmood – The Velvet Voice and Hitting The Right Notes. A man for whom music is a passion, writing his first book on his favorite subject wasn’t a cake walk. His first book Yesterday’s Melodies, Today’s Memories was started in January 1997, and took nearly 7 years to be published. But for him working on a monochrome monitor of his computer, with Wordstar and DOS, was fun. Meeting many many great people who had helped make the great tunes in the wonderful years we now called the Golden Era of Hindi film music. The book was initially to be titled as Tidal Wave, as according to him it was a huge kind of tidal wave that visited our shores for some 20 plus years, a time when all boats rose, in a metaphorical kind of way. Later, this working title was dropped because it did not have the slightest hint of music in it. In fact, it may even have ended up sounding scary, suggesting a tsunami kind of feel!!! 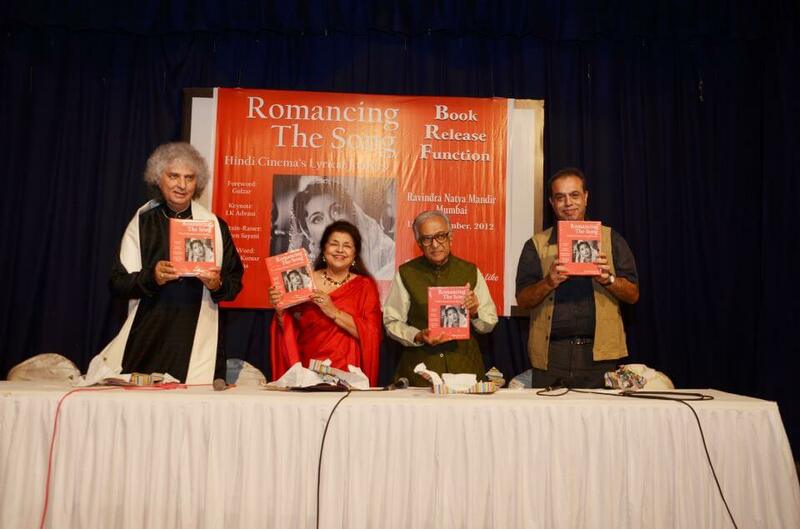 The Changing Face of Lyrics in Hindi Cinema – senior fellowship from the Ministry of Culture is a mini version of his book Romancing The Song. Though the book does not have any message, its raison d’etre was only to plot the journey of lyrics in Hindi cinema from 1931, till 2012. A chronicle of the cultural dynamics of Indian society over those 80 years. Speaking about this chef d’oeuvre he says, “Romancing The Song was written as a swim against the tide. It was, and is, an effort to correct some of the step-motherly treatment given to lyrics in recent times. But it is also a salute to great writers and their work. For many reasons, some of them understandable, literary values have been going down over the decades. This has hit poetry especially. Now in most songs, we need good lyrics, a good tune and instruments, and also a good voice, Apart from that, we need songs to be recorded well. Take away the merit of any one of these, and the product becomes ordinary. I believe one reason our songs don’t have a great punch now is because we do not have great lyrics.“ It was also the most rewarding work for him. He almost felt like a mother helping a child who needed the help most. There have been many milestones in the journey of Hindi film music, both good and bad. In Calcutta in the 1930s, a man called BN Sircar was such a huge patron-of-the-arts, allowing many talents to bloom, like Saigal and RC Boral and Pankaj Mullick. In Bombay we had Himanshu Rai and Chandulal Shah, and these gents were followed by great filmmakers like Mehboob Khan, Bimal Roy, Guru Dutt, Raj Kapoor, Mrinal Sen, V. Shantaram, Hrishikesh Mukherjee. Dozens of others. We have also had classical musicians who passed through our films, shining like meteors in our musical skies. There have been songwriters of significance, dozens of them again. Great composers who stretched for originality of tunes and instrumentation. Singers who offered originality of expression, so different from the atmosphere today. Let’s just say everyone was enthused with the mission of doing something good, with the assumption that money would follow. Now, it’s money first, let’s talk about art later. When you change orientation to that, perhaps you’ll never go hungry, but neither will you leave a legacy for people to remember you by. 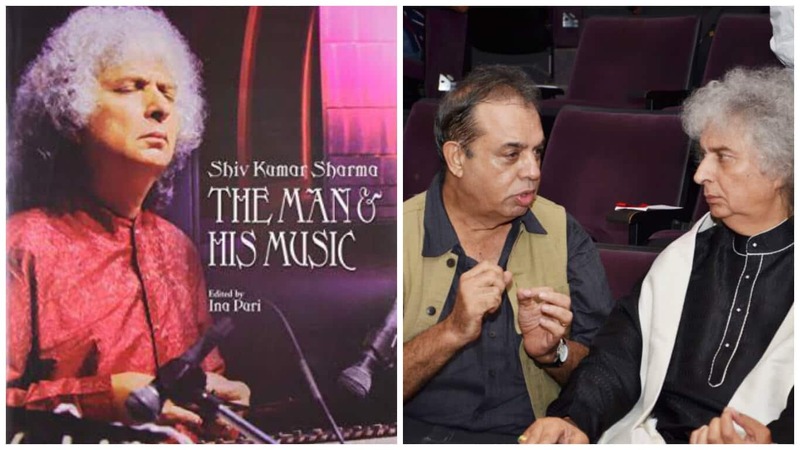 A man with many hats, Manek Premchand, has also helped writing the biography of Pandit Shiv Kumar Sharma, compiled songs for CDs for Saregama, hosted shows on WorldSpace Satellite Radio. To top all this, he has also written a biography on Talat Mahmood. Why Talat Mahmood? 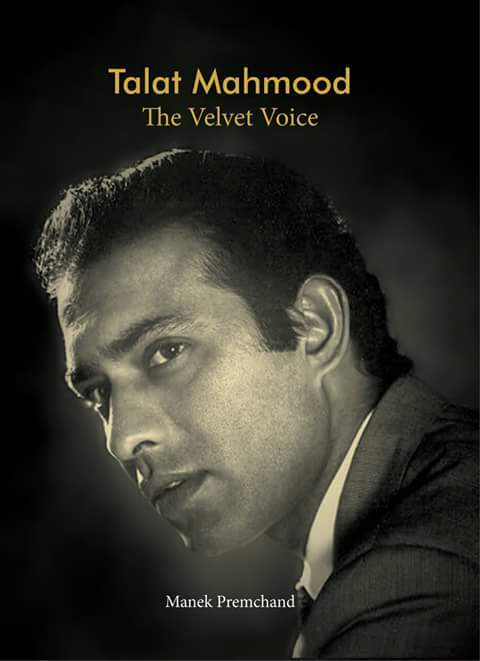 He adds, “Talat Mahmood was a favorite of both my mother, and later mine. There was something so soul-stirring about his expression, it was beyond just velvet. Ineffable quality, I suppose. I was so awe-struck, for the first few years, I would just go listen to him in different locations, and glean everything even in the green room, before the show began. No one even noticed me, so I would be like a fly on the wall! He was an amazing man, with a wonderful voice, and some expression when it came to ghazals. Later too, when I got close to him, it was like magic. 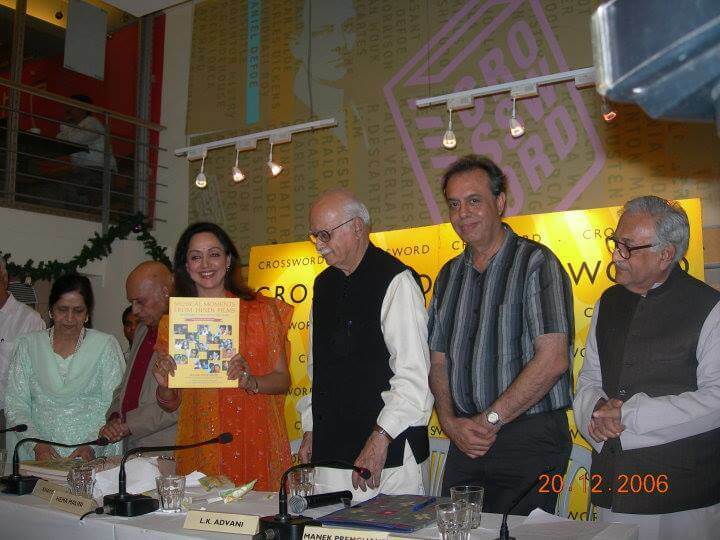 My book on him was a way of saying “Thanks Talatji, for the hundreds of hours you gave me joy…and sometimes tears”. I do believe what Alexander Pope said: “The soul would have no rainbow, had the eyes no tears”. I owed Talat saab the sight of many rainbows. The book done, I sleep better“. He also informs that the third edition of Yesterday’s Melodies, Today’s Memories is already in the offing for this year, plus a companion volume to Hitting The Right Notes. Aren’t we looking forward to these? For music travellers like me and many others like me, his books usher on so many right paths. He is the dependable beacon, the guiding light in a way for the music travellers. As Ameen Sayani writes in the foreword to Hitting The Right Notes – Manek Premchand is not only one of India’s finest musicologists of Indian film songs, but also an author with a delightfully graceful style. We now await his next magnum opus! !